The cloud is here and bigger than ever – One-Path Cloud is your gateway to a more powerful communications network. It’s time to upgrade, and we’re here to help. In short, One-Path Cloud is a communications solution which has been in development over a number of years to help improve patient access technology to healthcare. RPM’s ethos is to provide an ‘end-to-end’ solution, from implementation to training to actual use and then ongoing support. This concept translates into any business – we’re here to install a complete solution which you can adapt to your environment with our extensive list of bolt-ons and applications. You have a choice of handsets, a variety of assured or converged connectivity options, and then different levels or call reporting, call centre licenses, cloud services and call management. Keep reading to learn more. No longer will you be restricted by your number of physical lines – we set you up with a suitable connection to allow any number of people on the phone at once, and call queuing in the cloud. Scalable to your needs, One-Path Cloud gives each user an account which can make calls from a deskphone, soft client or route to your mobile. Converged connectivity has the added benefit of giving you additional broadband or WiFi. Managing your entire communications estate has never been easier – admin users can make changes to their schedules, manage call diverts to different sites or mobiles and review connected users and settings. 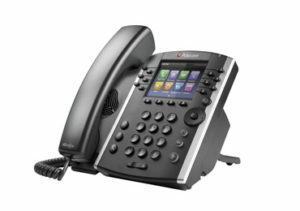 Standard users also get an online login to access directories and their voicemail settings. 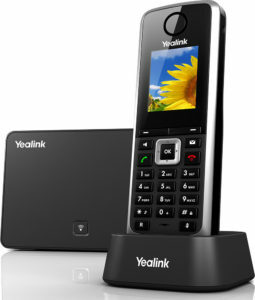 Advanced call centre users can login and logout of handsets or call groups. Take control back of your phone system! TAPI licensing and EMIS integration give One-Path the ability to integrate with a number of CRMs. 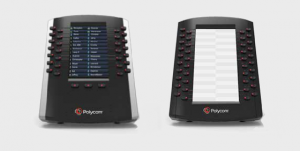 Screen-pop the details of your callers as they ring in, click-to-dial from your PC screen and control diverts and call forwarding from your mobile app; One-Path is designed to link up seamlessly to your existing estate and enhance it. If you are already a One-Path user, let us know if you’d like to give it a trial and see how it benefits your environment. Advanced users can take advantage of the real-time wallboard which gives you a breakdown of the people waiting in your queue and the status of current users. One-Path also has the option to include a call recording download manager, which stores and encrypts calls, or you can record calls ad-hoc and store them in the cloud. The ad-hoc feature is also quite clever – if you press ‘record’ at the end of the call it will save the whole recording. Years of experience in the healthcare sector has helped shape our product set and portfolio to meet the requirements of a busy practice or hospital. Whenever we perform an installation, our dedicated RPM engineers will attend site to perform a survey, which helps us tailor the system to your needs and lets you know exactly what you’ll be getting. Maybe your cabling isn’t up to scratch, you’d like to see the activity of users or queues in real-time or you need WiFi access for patients or staff; we’re here to provide a complete solution to meet and exceed your expectations. How can we assist you in the healthcare sector? RPM offer a DNA Service Application which allows patients to leave a voicemail-to-email and cancel appointments, cutting down on your number of missed appointments. Our Emergency Access Line enables instant access to your practice on a ‘red handset’ for paramedics or other emergency services and enables them to skip any potential queue. Change your comfort message to inform patients about upcoming events such as flu jabs or practice closures, or add-on the call queue position and estimated wait time features. Screen-pop of patient details as they call in so you can instantly know who you are speaking with and see a copy of their patient record and details. Click-to-Dial is also available to help accurately dial any number with a click of a button on your PC. Receptionists have the option for an additional call management desktop client which allows them to prioritise and see the live call queue. These are all steps which add up to improve patient experience and accuracy, saving more time for your staff to focus on patients and other activities. Sending letters has historically been a multi-step process involving templates, printing, franking machines and postage. This really starts to stack up in terms of cost and effort, and Cloud Mail is a multi-faceted approach to alleviate this. Simply install a driver onto your PC, set your template and select however many people you need to send the letter to. It’s that simple and meets the strict data protection and security governance required. If you are heading toward a paperless environment then also check out our fax-to-email / email-to-fax services. If you need assistance with any aspect of your solution, our support team are accessible 24/7/365 and work to meet SLAs to provide assistance as soon as possible. Next-day swap-out on faulty hardware comes inclusive within your monthly rentals. Existing hardware is upgraded remotely as new software and firmware updates are released, without you needing to make any changes on-site or have bulky PBX systems sat in your comms room. 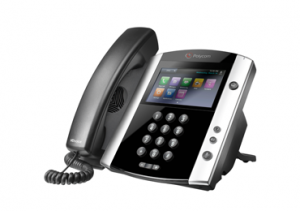 Ultimately this approach means you never need to buy another phone system again.